Samsung shows us its final “big holiday” release: the HDTV Monitor T27A950. Besides flaunting the highest picture quality of any Samsung television, it offers some incredible features that include wireless streaming via AllShare and ConnectShare, multitasking (TV, PC, or audio devices), and best of all, 2D to 3D conversion support. Yea, you won’t find any other HDTV with such capability. 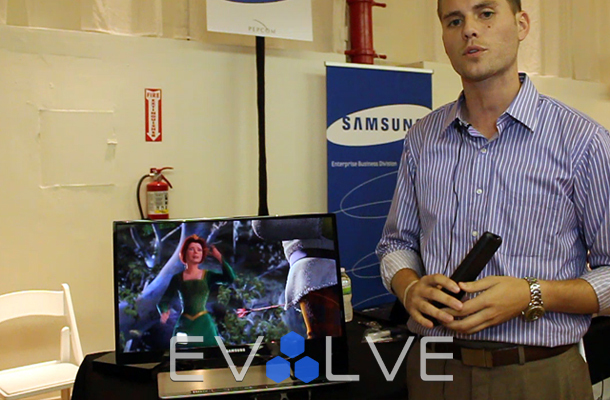 But enough talk, check out our homie David Phelps show off the Samsung T27A950 in action. Also check out the Windows-based Samsung Slate tablet by clicking here.